Pay-per-click marketing, known in the Internet marketing world as “PPC marketing,” is a form of online advertising in which you pay a fee each time someone clicks on your ad. In essence, it’s a way to “buy” visits to your site, rather than “earn” those visits organically through search engines. While PPC is available on a number of platforms (including most social media websites), Google AdWords is by and large the most popular network. There are a number of things to do when launching your AdWords campaign. You’ll start with setting a maximum daily budget and a maximum cost per click (CPC). You’ll then add all the keywords you want your ad to be displayed for. After writing your ad copy, you’ll be competing with other chiropractors for the best ad “real estate.” The higher the ad is on the page, the more likely it is to get clicks. Unlike most auctions, the highest bid isn’t always the bid that wins. Your quality score determines the relevancy of your keywords and ads. Ads with a high quality score can outrank ads with higher bids and lower quality scores. This is why it’s critical that you fully understand all the working parts behind AdWords. Does PPC Marketing Generate New Patients? This is the ultimate question. The one that matters. 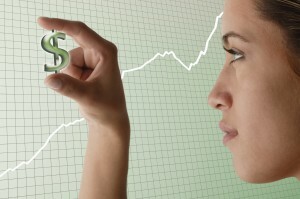 Will putting marketing dollars into a PPC marketing campaign help grow your practice? The answer is – it depends. It depends on your location, your quality score, the keywords you target, as well as the cost per click and amount each new patient is worth. An ill-considered strategy could mean paying $15 per click rather than just a couple dollars per click. 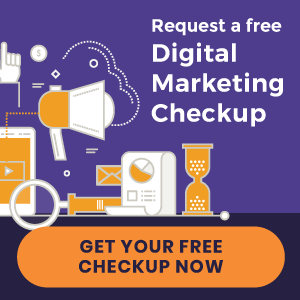 PPC is an excellent way to ignite traffic to a new chiropractic website, because it can take some time for your initial online marketing efforts to start producing new patients. To avoid the initial lull of waiting for your site to rise in organic search results, PPC can start driving web traffic the instant you launch your campaign. One of the key components to a successful AdWords campaign is to monitor your results regularly. This means understanding the most important metrics and knowing how to utilize those metrics to maximize your results. For instance, are you targeting the right keywords? Are those keywords relevant to your landing page and service offerings? Are your campaigns driving qualified traffic that is turning into new patients? These are important questions to ask. After all, if you aren’t getting the right kind of traffic to your website, all you may be left with is a depleted ad budget. 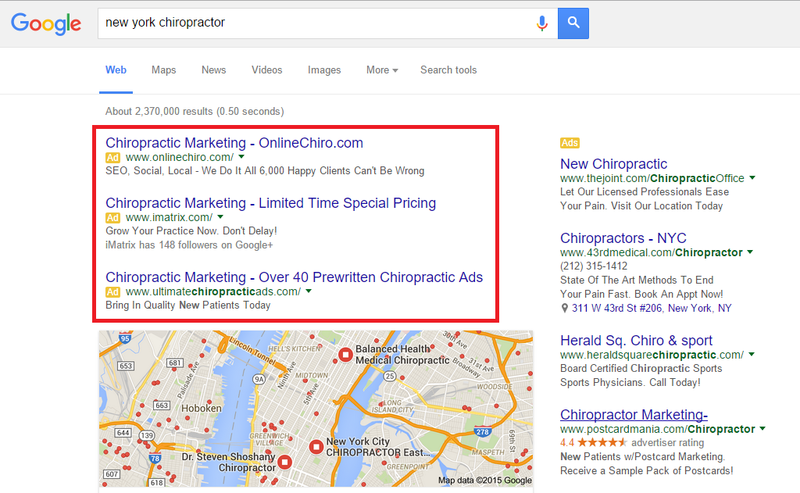 Learn more about how you can get new patients with Google AdWords! « East Memphis Chiropractor Website Design – Just Launched!